After the launch of R7, Oppo had released yet another device with much more improvements. 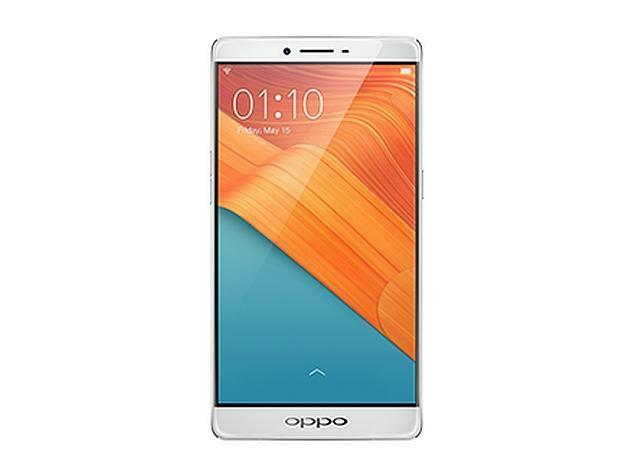 The Oppo R7 Plus is a mid-range smartphone having improvements in the section of display, performance and battery when compared to its predecessor Oppo R7. This is a complete review of R7 Plus, clearly describing each sections. Read this review to know more about the Oppo R7 Plus. 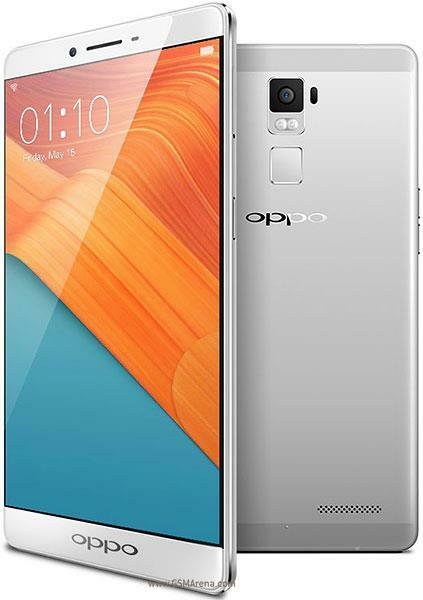 Oppo R7 has already proven to be a great premium mid-range flagship. But what does the Plus version brings to the table besides just a larger screen size? This review will walk you through different sections of a smartphone by explaining them deeply. Well let's find out what the Oppo R7 Plus has to deliver more than that of the basic R7 model? The Oppo R7 Plus is basically a blown-up version of the smaller R7. Besides the larger size and slightly thicker profile, the R7 Plus is practically the same phone. The body is completely made of metal that rounds around the corners and in sides. And chamfered edges go around the entire front perimeter of the phone. In the hand, it feels just as solid as you would expect from the metal phone. And being only 7.8mm thick, it gives a very sleek look and makes a little bit easier to handle even after being a large phone. The vessels all around has kept nice and tight. Also the power and volume keys are located conveniently on the right and left sides and they are placed well enough to reduce the amount of shuffling you would have to do in the hand if they were situated otherwise. Parts like 3.5mm headphone jack and micro USB port are situated on the top and bottom respectively. On the rear side of the R7 Plus, there is a single speaker, camera and a fingerprint scanner. On the front side, the device holds front facing camera along with notification LED light and other typical sensors along the side. Unlike R7, the Plus version does not hold any capacitive keys on the bottom, instead Oppo opted for on-screen keys which again was most likely a move to help minimize the phone's footprint. R7 Plus holds a 6 inch AMOLED screen made of 2.5d glass for that subtle curves along the edges and features the same 1080p resolution as the regular R7 and it practically dominates the entire front of the phone with an almost edge to edge appearance. The screen is overall a good looking one with reasonably sharp giving around 367 PPI. Colors are good and it is fairly easy to see in direct sunlight when set to maximum brightness. Also the display is added with a corning gorilla glass 3 protection. The internal of R7 Plus is identical to R7 with a snapdragon 615 and 3GB of RAM. This chipset of snapdragon has proven to be a very impressive addition by which it does gives faster boot times and app launching. Moreover the R7 Plus holds an impressive Cortex A53 Octacore processor where it delivers 1,5 GHz of clock speed. Also the GPU powered by Adreno 405 is a noticeable feature within it. In general, for every day use performance, the 3GB of RAM is more than plenty offering a smooth multitasking experience. The remaining hardware on the R7 Plus includes the typical stuff like Wi-Fi, Bluetooth 4.0, GPS and LTE connectivity. But there is no NFC to take advantages of things like mobile payments which may or may not be a deal breaker depending on how much you use NFC. In terms of storage the Oppo R7 Plus comes with a 32GB configuration. But if you need more, then the R7 Plus supports microSD card expansion for up to a 128GB of extra storage. The speaker quality on R7 Plus is nothing extraordinary, it sounds fine and gets the job done. But the bad side of it is that, the mounting position of the speaker on rear side is not the most optimal as it would get muffled up when lying on a table or other flat surfaces. Also the speakers does not make the best audio experience. Talking about the battery in the R7 Plus, it is indeed a very generous 4100 mAh battery and it's life can easily get you through a full day. When you finally do run out of battery or you just need to quickly add up some juice, the R7 Plus comes with a Rapid Charging Technology which is an awesome feature to take advantage of on any mobile device that supports it. Also located on the rear is the addition of a fingerprint scanner which is probably the most notable hardware on the R7 plus. These types of scanners are starting to become a popular security measure in today's smartphones, so it is nice to see a company like Oppo hopping onboard in this section. The fingerprint scanner itself is a small rectangular pad that you simply need to read your finger on to unlock the phone. It is just fast, reliable and accurate as fingerprint scanners on other devices like the Galaxy S6, HTC M9 Plus and even that of the iPhone. The replacement in the position of the R7 Plus's fingerprint scanner makes sense as it is a natural resting point for your index finger, so makes it much more easier to reach for. The camera of Oppo R7 Plus features a 13 MP shooter with F2.2 aperture, laser autofocus, LED flash and a front facing 8MP camera that is capable of taking some surprisingly great looking selfies. It should be more than good enough for other things like video chats, if you are really on to that sort of things. The camera UI is fairly simple where switching between capturing photos and video can be done just by swiping on the viewfinder. Tapping on the icon in the upper right will reveal a bunch of shooting modes like beautify, ultra HD, slow shutter, live filters, HDR and Panorama. If these aren't enough, you can always download extra modes that includes things like double exposure, super macro and more. In the field of software, Oppo R7 Plus comes out of the box with an in-built Android 5.1.1 with Oppo's own Color OS which is a pretty major difference from the regular R7 which was launched back with Android Kitkat. The Color OS gives pretty clean experience with nice looking icons, transparencies and there is a good amount of color sprinkled into the elements of the OS. There is a built-in theme engine which allows you to customize the OS. This is lot more useful if you don't like the default look or you just want a change of scenery. Many of the screen on and screen off gestures are all still available like double tapping the screen to wake the display, drawing various gestures in the screen to directly launch into different apps and you can even customize these gestures too. Similarly there are plenty of screen on gestures including swiping with three fingers to take a screenshot, adjusting the volume with two finger swipe etc will benefit the users in using R7 Plus with one hand. 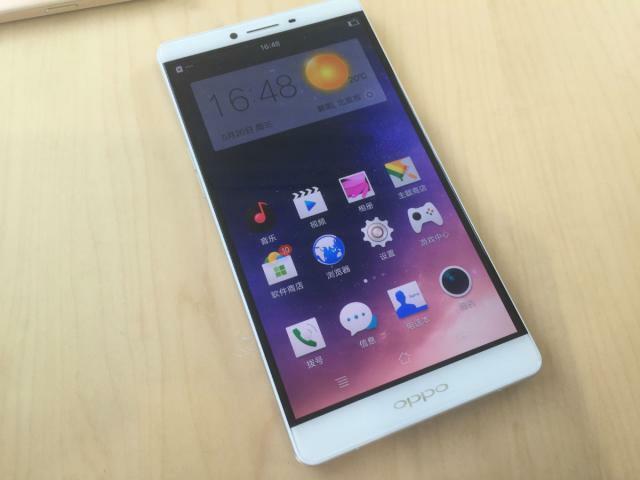 Oppo R7 Plus is expected to launch with a price tag of around $400. But some may find it to be a little high in these days for a mid-range smartphone, especially when compared to lot of other mid-range flagships that comes under $300 price tag. But if you are looking for a smartphone with all-metal build, a massive 6-inch screen and a heavy battery life, then R7 Plus will be an investment that you won't regret. It has a really great screen. Also the battery life is ridiculously superior. Based on these criteria it is just a great device indeed.